It’s a wonderful privilege to be welcoming you my friends, colleagues, sisters to the Asia Pacific CSO Forum on Beijing +20. I’m making these comments not because of any personal achievement or insight that makes me particularly fit for this moment but instead from the enormous privilege I have in acting as Regional Coordinator of APWLD and the mandate from our 180 members across the region together with our role as co-organisers and Secretariat with DAWN of the CSO Steering committee (pic) to organise this process. The process of organising this preparatory meeting has been a collective one, starting with a preparatory meeting supported by UN Women around the ESCAP Committee of Social Development. Given the time and financial constraints we are all elated that there has been so much interest in attending and that we’ve been able to gather 480 feminists, activists, supporters, allies from 36 countries. My job here is to provide an introductory context to this meeting and our agenda for the next 2 and half days. The Beijing Declaration and Platform for Action was a watershed for the feminist movement. 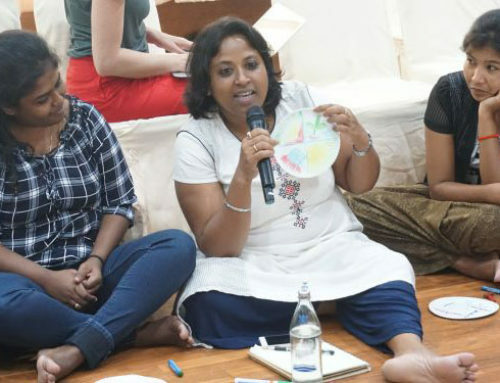 The roadmap provided the most comprehensive, universally agreed plan of action to realise women’s human rights, to counter and dismantle patriarchy. It was monumental at the time although imperfect. In a moment Cai Yiping will walk us through the context and continuing relevance of the Beijing Platform. Our first plenary this morning will provide a picture of the impact of these crises on women’s lived experiences; women who have struggled against oppressive structures and ignited feminist movements to counter them. Our panelists in Plenary 2 will discuss some of the omissions and barriers to implementation. They will discuss the global context and structural causes of inequality in our moment. When Aung San Suu Kyi welcomed participants to the Civil Society Forum in Beijing 20 years ago she called it a “great celebration of the struggle of women to mold their own destiny and to influence the fate of our global village”. There has never been a more important time for feminists to mold and shape our global village. Because this global village is in crises. This global village is at a tipping point. Global wealth inequality has become so obscenely high that even the institutional architects of inequality – the IMF and the World Bank are concerned about its potential to create revolt. Last year Oxfam famously found that 85 people in the world hold as much wealth as half the world’s population – that’s 85 people owning more than 3.5 billion. But even more startling is that since that data was collated wealth has been accruing even more rapidly to the obscenely rich – 65 people now own morethan 3.5 billion. Mounting evidence that we are at the point of irreversible catastrophic climate change is devastatingly tangible for millions of women in the region. There is no evidence that violence against women has abated in 20 years even though we’ve made progress in laws and policies. We are all familiar with the cultural, religious and political terrain that threatens even the gains made let alone advancing standards. 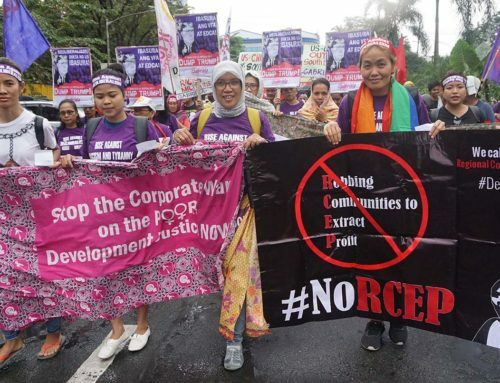 Land-grabbing is at an all time high, and resistance deadly. Just this week the extraordinarily brave women land rights activists of Cambodia have been again summarily arrested, charged and sentenced simply for protesting their evictions. Migration into exploitative work is continually on the rise, living wages and decent work conditions denied and again with deadly consequences. 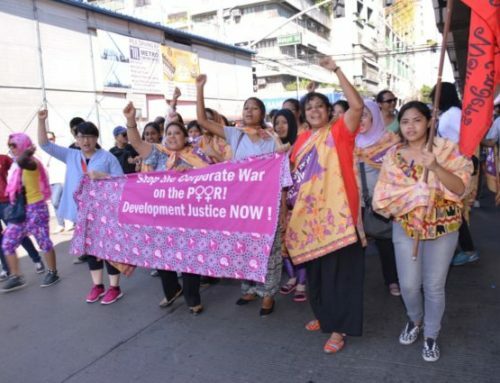 The cheap, exploitable labour of women is underwriting the so called ‘Asian Century’ and is used to attract investors to the region. The intersecting tipping points and crises we face and then systemic violations of women’s fundamental rights all share a patrilineal origin – the ascendency of neo liberal capitalism converging with the power that patriarchy affords fundamentalisms and militarism. In 1995 our movement established what now seems to be an extraordinary feat – a clear, progressive road-map to deliver women’s rights. We are reviewing its implementation at a historical moment where global intergovernmental processes converge to present and opportunity to shape a new approach to development. The sustainable development goals to be adopted in 2015 provide an opportunity to transform the development agenda. 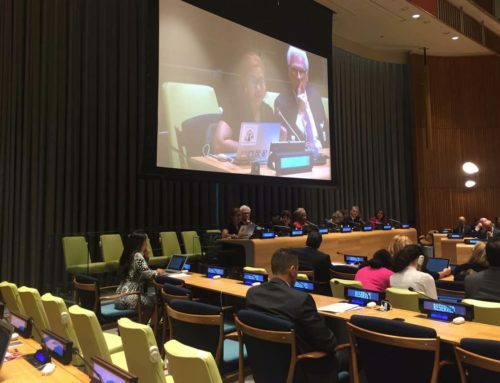 Reflecting on the promises made through the Rio Earth Summit, Beijing Platform, the GA Resolution 1325, the ICPD as well as human rights treaties revealsthe common failure to provide real accountability to peoples, particularly the most marginalized – women of this region. The WTO provided the architecture that we were denied – a binding framework that delivers remedies if agreements are violated. And if that was not enough we now see further advances in guaranteed remedies for corporations through the growth of binding investment and trade agreements like the Trans Pacific Partnership Agreement. While the Beijing Platform remains a powerful tool, its largest failure is the lack of a meaningful accountability mechanisms. 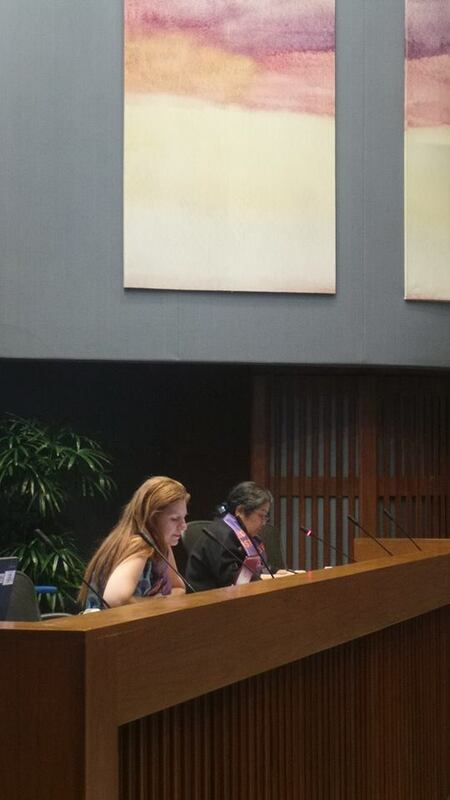 Accountability is the main theme of this meeting and the intergovernmental meetings at ESCAP to follow. Perhaps the most radical demand we can make today is for genuine accountability to the peoples and real democracy. Our final panel today will consider ways to enhance accountability for the implementation of the Beijing Platform through this review and beyond. The good news is that we are at another tipping point. We are at a tipping point where the numbers of people who question the morality of wealth, power, resources and opportunities being concentrated in the hands of so few are growing. We are at a tipping point where shaping a new order for our global village may be possible. It is now time to shape new relationships, economies, systems. 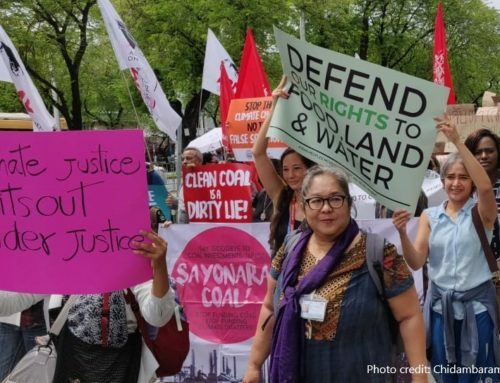 APWLD and more than 100 civil society groups across this region are calling for Development Justice – a framework that demands five transformative shifts incorporating Redistributive Justice, Economic Justice, Gender and Social Justice, Environmental Justice and Accountability to the Peoples. For our feminist movements it is imperative that we play a leading role in re-shaping this global village in ways that are more equitable, just and loving for women as well as men and as well. If this global village is to survive it must be molded by our vision, our struggles our solidarity.